In the hushed aftermath of a total eclipse, Laura witnesses a brutal attack. She and her boyfriend Kit call the police, and in that moment, four lives change forever. Fifteen years on, Laura and Kit live in fear. I was instantly hooked on this book, Kelly weaves a beautiful yarn, the story is intricate, it’s delicate and it’s shocking. 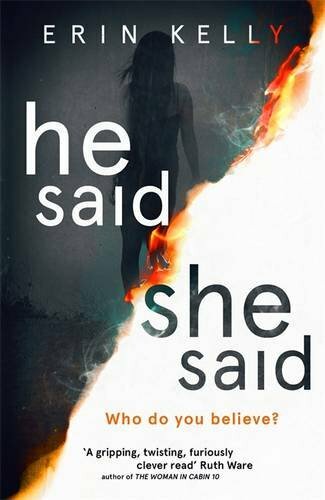 He Said / She Said is a sophisticated, thought provoking psychological thriller, which drips with atmospheric tension and bowls a twist to knock you over.